Vodafone has announced that it is partnering with Magzter to offer digital magazines to customers. The service is free for the first month, after which subscriber can continue the services starting at Rs 49 per month. Through Magzter, Vodafone subscriber will have access to over 100,000 issues from over 4,000 best-selling national and international magazines (including Digit). Vodafone India today announced an exciting partnership with Magzter, the world’s largest digital magazine newsstand – to offer an unparalleled digital reading experience to 200 million+ customers in India. With this association, Vodafone customers can now access over 100,000 issues of 4,000+ best-selling national and international magazines across the globe at an exclusive offer price. The service is free for a month post which the customers can continue the services starting at Rs 49/month. With Magzter GOLD Lite, Vodafone customers can get unlimited access to any 5 magazines of their choice from a collection of 4000+ handpicked magazine selection at just Rs. 49/month. With Magzter GOLD, Vodafone customers get unlimited access to 4,000+ best-selling magazines and curated premium articles. Interestingly, Magzter GOLD subscription of Rs. 199/month, can be shared with up to 4 family members for free. The magazines spread across 30+ exciting categories including automotive, business, comics, education, entertainment, fashion, fitness, lifestyle, news, politics, science, technology and travel, thereby engaging everyone in the family from 6 to 60+ years of age. The readers can enjoy unlimited access to superlative content from all the major countries including India, USA, UK, Singapore, Australia, Canada and South Africa on the go. Apart from leading Indian English magazines, Magzter also offers magazines across all the regional languages including Hindi, Marathi, Tamil, Telugu, Kannada, Malayalam, Bengali, Punjabi, Gujarati and Urdu. 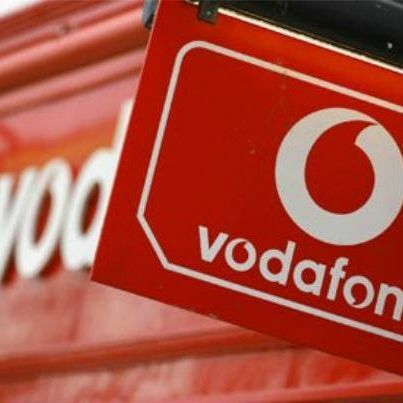 This partnership between Magzter and Vodafone is sure to open up new avenues for both the companies. While Magzter is confident of adding millions of new users to its existing 35+ million user base, Vodafone sees this as an opportunity to provide compelling value-added services to its loyal customers at great value propositions. Can I do a digital subscription for my magazines?